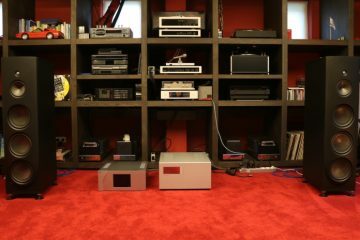 The CH components, especially the power amps, have an almost unassuming delivery: they don’t brag or try to impress the listener, in essence, they do not subtract or add anything. They do not add any extra “attack” or “slam”, so depending on the music that is played, they can appear to be a bit unspectacular. 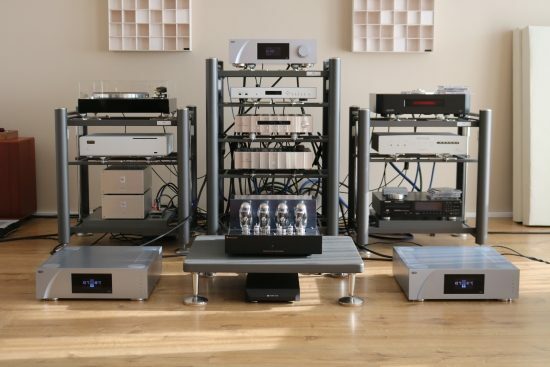 But meanwhile, they are so articulate, pure, transparent, dynamic and immediate, that it was a bit of a let-down when I switched the Jeff Rowland Corus preamp (+PSU) into the system, leaving the C1 to perform DAC-only duties. 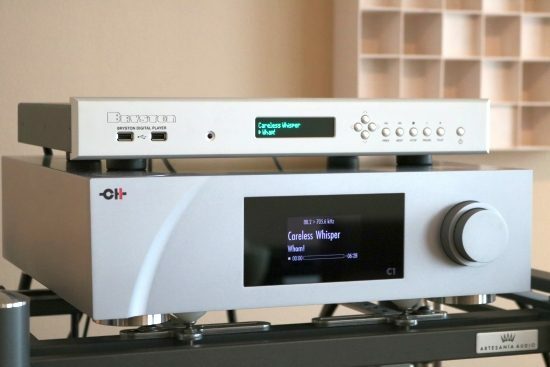 The Corus is an extremely refined preamp and so far it has never performed less than fantastic but compared to the C1 in Controller mode directly to the power amps, the resulting sound comes across as being comparatively rounded and mellow. The interesting thing is that cutting out the preamp during past efforts also usually resulted in a more clearly defined bass and a purer, more direct sound, but always at the cost of soundstage size, smoothness or overall sense of power. With Wadias in particular, the bass and dynamics are usually best without a preamp but this always comes at the expense of a dry and square-ish treble. There’s none of this however with the CH Precision C1. This DAC sounds utterly fluid, airy, refined, powerful and yet colorful and sonorous, and even when it drives the power amps directly. 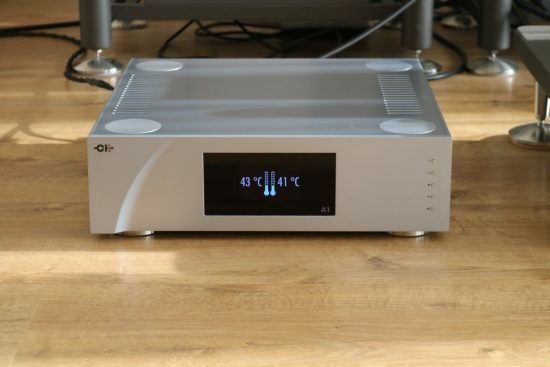 With the Corus preamp still in place, I switched from the CH Precision C1 to the 13.670 euro Aqua Formula xHD DAC using the same digital connection. 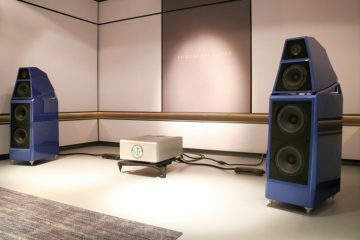 It has to be said: in this context, with Corus and the Martin Logans, both not the world’s most dynamic-sounding components, the Aqua’s comparatively more spritely presentation made for an arguably more synergetic match. This just goes to show how relative audio matters are. It also indicates just how great the Aqua DAC is. It does not have the C1’s timbral fullness and wide soundstaging or its overall sense of power, but it is highly involving and very communicative. Leave out the Corus though, and the combined C1+A1 presentation is again indisputably elevated several notches above Aqua + Corus. This nicely shows that inter-component matching and overall system synergy is ultimately one of the most important aspects of all. After the superb results using the CH equipment with the Logans, it was now time to see how they performed with the Wilsons. Before going full out though, first I switched back to the very cost-effective 3375 euro PrimaLuna DiaLogue Premium tube amp that has been functioning as my default go-to amp while I am making up my mind as to which amp works best with the Wilsons. 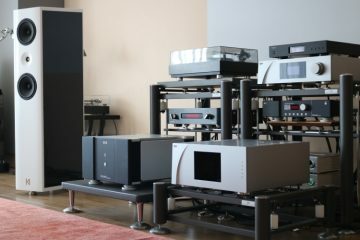 As could be expected, the humble PrimaLuna DiaLogue Premium with KT150s could not keep up with the A1’s, especially in terms of refinement, resolution, evenness, and transparency but it still turned in a lively and enjoyable presentation, once you have gotten used to its rougher presentation. This is the remarkable thing with tubes: even if they don’t perform anywhere near as well on the usual audiophile individual aspects, still, they can possess a certain magic and engagement factor. Then again, if one wants a tube amp to approach the A1’s incredible levels of neutrality, transparency, and refinement then considerable funds are required just the same. Naturally, it first took some acclimatizing to switch from the transparent and refined Logans to inevitably more colored “cabinet” speakers. Indeed the first evening when switching I could not get comfortable with the Wilsons quite so easily. As open and neutral as the Wilsons seem, they still sound quite uneven compared with the Logans. By comparison, the Wilsons’ frequency range seems to go all over the place. Above: the PrimaLuna amp normally sits on an Artesania platform with the NuPrime ST-10 below it. To level the circumstances with the A1’s, I placed it right on the floor for this comparison. However, when switching from the PrimaLuna to the CH Precision A1 amps, much of that unevenness was greatly reduced, not only in the bass, which was now tighter, deeper and more articulate but also in the midrange and treble which became more polished and more well-mannered. So, while the Wilsons are no Logans in terms of evenness, understandably, the PrimaLuna also is no CH. After some time though, my sensibility to this aspect yielded to the lure of the Wilsons’ more expressive and dynamic sound and the next day I was no longer bothered by it at all. To me, this indicates that our hearing and the way that we listen to music is much more sensitive to shifts in loudness than unevenness in the frequency range. Once I was used to the Wilsons, it occurred to me that this was actually the best bass that I had heard them produce so far! Tight, deep, articulate yet sonorous and bold, it was just right! It has to be said: just like the Logans, the Wilsons also showed a remarkable synergy with these CH components. The A1 amp can be switched in various operation modes: Bridged Mono Mode, Left or Right Mono Mode and Passive Bi-Amp Mode. When adding a second input board (as was the case with the review samples), the A1 provides the following additional modes: Stereo Mode and Active Bi-Amp Mode. I won’t go into detail on all these modes but will describe the two modes that I used. In Stereo Mode the amp works as a traditional stereo amp, each output stage being driven by its dedicated input board. In Mono Mode, the entire power of the transformer is available to a single output channel. Don’t confuse this with Bridge mode which uses both channels either in parallel or in series. Instead, the Mono mode disables one input board and makes it possible for this 100-watt amp to actually deliver 550 watts under 1 ohm and this makes it ideal for driving low impedance speakers. To start off, I used both A1’s in Mono Mode with the inefficient Apogee Duetta Signature magnetostatics and this worked like a charm. In fact, I don’t think that I have heard them perform more magically than this. And the bass! Boy, was it every so well-controlled yet super-nimble! The Martin Logans also blossomed using this mode, even if they do not actually require much current at all. This is more a matter of preference and matching than of electrical requirements, but I just preferred how the Mono Mode made the Logans sound slightly more sonorous than the Stereo Mode. I’m sure that a single A1 would have driven the Logans splendidly too, but alas, I did not think of trying this. The Wilsons may have funky impedance curves but they really are not very power hungry and they work very well with all the tube amps that I tried, such as the aforementioned PrimaLuna but also the Audio Research Ref75SE and the Vaic Reference 520’s. This being the case, a single CH Precision A1 amp should definitely have more than enough power to drive the Wilsons perfectly. Swapping back and forth between a single and dual A1’s proved that indeed a single A1 sounded every bit as powerful and in control as two A1’s. The thing is though, using two A1’s in Stereo Mode, each powering one Wilson speaker, does bring other benefits. Compared to using a single amp in stereo mode, using two amps, still in stereo mode, with the same power cables and interlinks, provided an even more delicate sound that was seemingly more extended at the frequency extremes. I don’t think that this was actually the case, but evidently, the separation of the two channels does have a certain effect, one that goes beyond supplying double power. When using two A1’s with the Wilsons, I found that both Mono Mode and Stereo Mode worked well, but the latter produced the more expansive soundstage with a more agile, airy and free-flowing feel. This is not a day and night difference, but it is not difficult to hear either. Above: display on temperature mode, below: display on power mode. After the Logans’ smooth presentation there was still some lingering hankering for some extra fluidity and so I switched in the Corus again. And indeed this brought a welcome sense of liquidity and smoothness. While certainly attractive and still very much high-res, not masking any details, the Corus did, however, impose a mild softness on the sound and after some time, I started longing for the purer C1-direct sound. After switching the Corus out again and setting the C1 back to “Controller” mode, there was no more doubt on my mind. Just as with the Logans, the sound was best when using the C1 directly connected to the A1 power amps. With the Wilsons, too, I much preferred the CH Precision interlinks. It seems that these cables provide the liveliest sound but without adding any character of their own, which I really find quite remarkable! On the surface, the A1’s sound similar to the 19.600 euro Analog Domain M75P. Both amps sound exceedingly neutral, uncolored and transparent and both have superbly natural timbre. However, while the Analog Domain sacrificed some liquidity and refinement compared to the Rowland model sixes, the CH A1 fully retains these qualities. There’s all the neutrality and dynamic capability that one could desire, but also superb resolution, midrange liquidity, and treble air. To put this into context: a single A1 costs a whopping 10.000 more than the Analog Domain amp, and I am actually comparing two A1’s with a single M75P. So, this is not really a fair comparison but it does go to show that there are indeed ever better results to be obtained with transistor amplifiers if one is prepared to spend more. Speaking of spending more, audio buddy Niels was so kind as to bring along his Soulution 711. 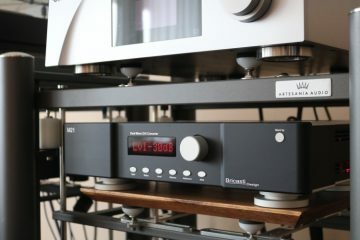 At 55.000 euro it is the most expensive amp that I have listened to in my system so far. 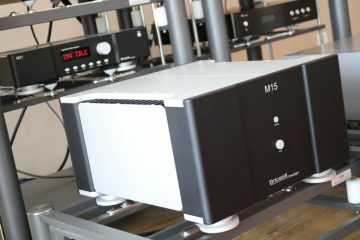 Just as with CH Precision, it seems that many people are under the impression that Soulution amps sound cold and sterile. Reading older reviews it seems that indeed earlier Soulution products may have actually tended in that direction. But I can confirm that the 711 sounds full-bodied, sonorous and even warm, not bright or clinical in the least. Like the CH Precision amps, the Soulution 711 uses a smart system to monitor and maintain proper transistor bias in all circumstances and while it does not offer the convenience of adjusting the feedback on the fly, it only employs local feedback, no global feedback. So, when setting the A1’s to zero global feedback, these two amps operate more or less on equal ground. In the Analog Domain review, I used the 711 with the Apogee Duetta Signature, Vivid Giya G3 s2, and the Wilsons. For the purpose of this review, however, I will only use the Wilsons. When switching from the A1’s to the 711, the latter sounds fuller in the midrange, more sonorous in the bass and darker overall. It’s actually somewhat similar to the overall PrimaLuna sound, as weird as that may sound. Of course, the 711 beats that amp on all accounts except the typical lyrical aspect so typical of tubes but they share a similar presentation in terms of tonality and especially in the midrange, which with the 711 could even be argued to be somewhat tubelike. The 711 also comes across as being more dynamic when playing material that is not itself very dynamic but this might just be a matter of added heft. It’s certainly a tempting sound and if one’s aim is to find a transistor amp that actually performs like a tube amp on steroids then this is it. However, compared to the CH amps, the 711 does come across as being slightly congested and colored. It is not as transparent and airy, or as agile as the A1’s. To my ears, the 711 is more romantic and certainly easy to listen to but the A1’s have a purer and more honest presentation. Ultimately, these are quite different amps catering to different tastes. As explained in part 1 of this review, the A1 offers user control of the balance between local and global feedback. In 5 steps one can set the amp anywhere between 0% and 100% Global Feedback. This can be set on the amp itself or via the Android App. For the Logans, zero global feedback made the overall sound just a bit too relaxed but I obtained great results with a setting of 20 or 40, ultimately preferring 20 as the best balance between immediacy and smoothness. This turns out differently with the Wilsons, which are quite punchy and lively themselves and so make the nicest match with the feedback set to zero. With the Wilsons, this results in a nicely relaxed sound, with organic and free-flowing mids, again reminiscent of typical tube sound. Of course, the bass also becomes less forceful but because these speakers have bass-punch built in this is not an issue. Also, the A1’s have such incredibly good bass even at zero global feedback that the end result is still better than with most other amps. 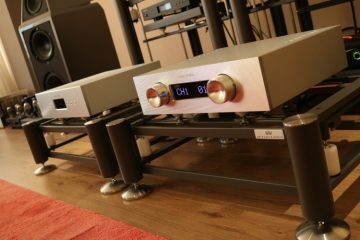 Apogees are known to love power and control, and one would expect the Duetta Signatures to perform better with more feedback but actually, it turned out that the A1’s have such splendid control over the speaker that it was not necessary to raise the setting. Sure, the sound became even tighter with a setting of 20 or 40, but not subjectively better. Left on zero, but with the amps set to Left or Right Mono Mode, the Duettas already sounded like they had the oft-quoted “Iron Fist” control while having gloriously smooth and free-flowing mids and treble. I think this also speaks of my personal preference, and apparently, I like the sound of little or no global feedback, provided that the amp-speaker match is such that the bass is still tight and articulate. I find that raising the level of Global feedback, in general, can lead to more control and a tighter sound, but it can also reduce the sense of dynamics and flow. I guess this is why I am currently also quite fond of using tube amplification with the Wilsons. The thing is: oftentimes I am forced to choose between “Magical Midrange” and “Seismic bass”, but when using multiple A1’s, you are actually able to set a different feedback setting for the bass than for the midrange and treble. This way, one could set the bass channel to 20, 40 or even 60%, while leaving the midrange/treble channel on zero. That way, one could potentially get the best of both worlds! 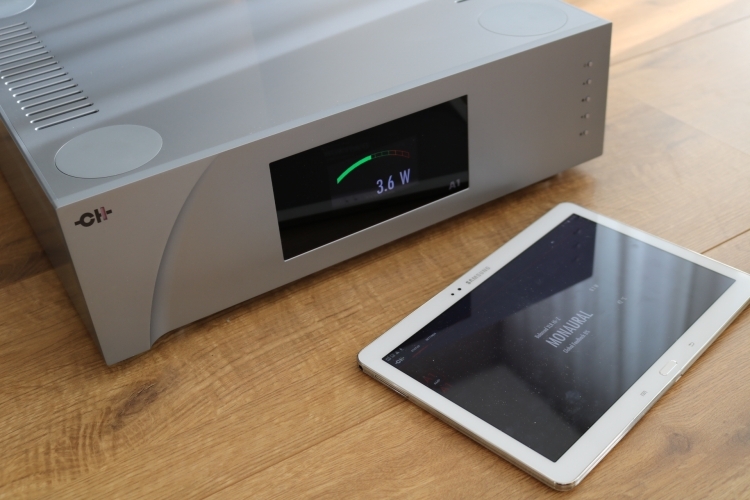 The CH App has tabs for all connected CH components and in case of the C1, when the optional UPnP board is installed, there is extra functionality that allows full use of the usual UPnP streaming options. The advantage is that these are embedded into the same app that controls all the other CH functions, which makes it super-comfortable to cue and play tracks while adjusting volume and changing other settings. The status tab shows all the C1’s normal statuses but also cover art, artist name, album name, genre and file attributes. There’s also a scrubbing bar that allows fast forwarding or rewinding within a track and people with UPnP experience will know that this particular functionality is often missing. The basic functionalities for browsing are dependent on what the UPnP app on the NAS offers but usually include browsing by Artist, Album, Genre, Recent additions, Years and Folder View, which enables browsing the folders with the physical structure as it exists on the NAS. I’ve been spoiled by Roon and iPeng, which both offer very extensive functionality and compared to these apps, the CH app looks very basic, but for the majority of users, it offers precisely enough. From the Libary View, you can choose between play now or Queue entire albums, individual tracks, or track selections. There are some functionalities that I do miss. Items can only be queued at the end of the Queue, not for example after the currently playing track. Also, it is not possible to change the order of items in the queue or in playlists. In fact, there is no playlist editing outside of being able to add items to existing playlists, overwrite them or to create new ones. For starters, I ran some tests using the AudioAanZee Reference Flow Music Server. Based on a VortexBox install, it also includes Logitech Media Server, which works without having to make any settings. Just browsing the source options on the Library page, where all UPnP-compatible servers automatically show up, it is a matter of selecting the server of choice and you’re done. Because all UPnP methods rely on a control point (the tablet) accessing indexed library data from a server, response times really depend on the speed of the server that is used. Roon and iPeng (both not UPnP applications) overcome this by caching the data on the tablet but this does not seem to be the case here, nor am I aware of another UPnP app that does. When using the LMS server on the Reference Flow. which is not really designed to be operated like this, there is indeed a short delay every time you want to navigate to another folder and when navigating directories containing many files the files get loaded in batches, preventing continuous scrolling. After having loaded once, however, it is possible to scroll even large directories continuously, so it seems that the data is temporarily held in a cache. 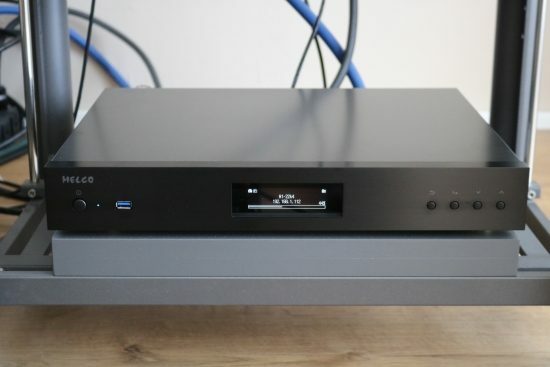 Garmt also brought along a Melco N1A/2 music server, saying that it would make a marked difference and in his opinion actually is the best way to use the C1. 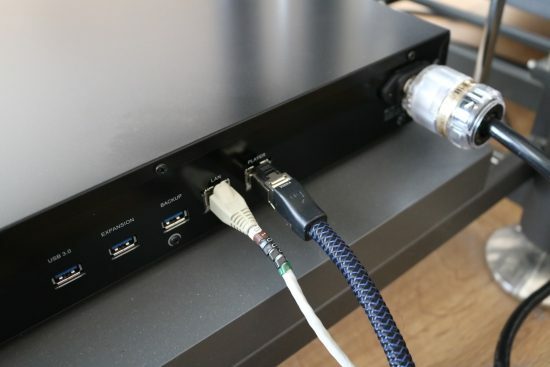 This server uses Minim Server as the UPnP library and connects via a direct and clean Ethernet connection and is a lot faster, and I mean A LOT faster. Using the Melco there is still the tiniest delay when browsing folders but it is so very quick that it does not bother me at all. 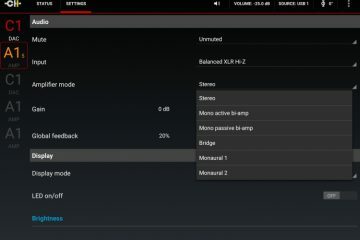 Most important of all, what completely seals the deal here is the sound quality when using the C1’s UPnP Streaming input. 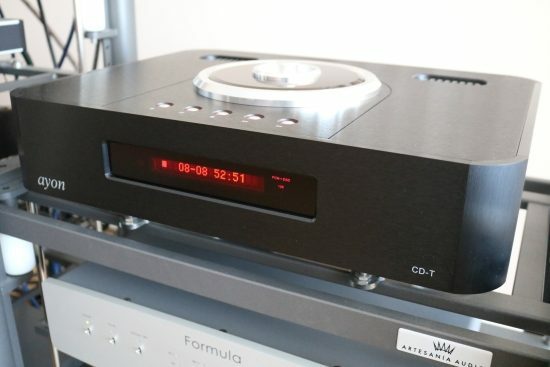 When using LMS on the AudioAanZee server to stream to the C1 via UPnP, the music sounds more energetic and lively, in fact, more “live” than using either the Reference Flow’s USB output into the Bricasti or Aqua DACs or the Bryston BDP-3 streamer in Roon Ready mode via AES/EBU or coax on cinch directly into the C1. With the C1’s streaming mode using the AAZ server, the sound was simply tighter and dynamically more pronounced, and actually, more live. The other options, by comparison, sounded a little rounded-off and although the difference is seemingly small in a quick A-B comparison, it makes a lot of difference for the music’s entertainment value. Somehow, the other sources just sound less interesting. Compared to the very articulate and lively Ayon CD-T II transport (used in PCM mode), streaming mode sounds just as refined but is slightly less agile, less articulate and less dynamic. Transients just seem more immediate and more powerful from CD. When switching to streaming from the Melco N1A/2 server, however, the sound was even more impressive. 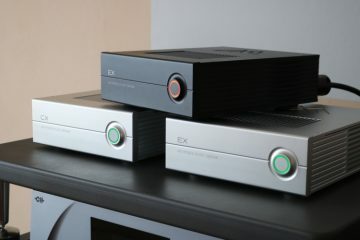 I was already hugely impressed using the but hearing the C1 together with the Melco renders me even further impressed! All the aforementioned advantages of using streaming remain, but now with even better low-level resolution, more calmness (less “hash” I suppose) whilst at the same time sounding quick, articulate, energetic and very dynamic. The CD source is still a little drier but I’m not so sure anymore if that is the better performance as it also sounds soberer and therefore arguably sometimes less involving. In any event, these sources are so very close to each other that I can’t even always tell the difference. This may sound like something that goes without saying (bits are bits) but trust me, this really should not be taken for granted. It is actually not at all easy for a computer and an endpoint to accomplish such transparency, as evidenced by the less spectacular results using the other server and endpoint. Garmt also brought along an AudioQuest Vodka ethernet cable. 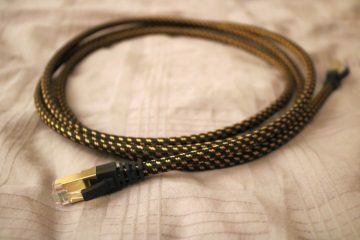 As a final experiment, I compared this high-end cable (from 275 euro for 0,75m) with a standard 7 euro ethernet cable. I know I am going to get complaints because many people feel that it should not be possible but yes indeed, I can hear differences between these cables. However, not as expected perhaps because, as it turned out, I preferred the standard cable. The AudioQuest cable provided a smoother, more introspective sound than the standard cable. I could see this more relaxed sound being preferred in some situations but although it was supremely refined and the dynamics were intact, compared to the CD transport, the transients were definitely less immediate and this made me feel like the music was somehow processed. Your mileage may vary so, as always, just experimenting with this is the best method of finding the ideal combination for any given situation. Also see the separate Melco review, in which I compared a couple of Ethernet cables. 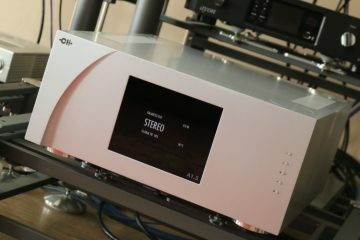 As this review is coming to its end, the most prominent thought on my mind, even when I’m writing this in the adjacent room, is that I am continuously overwhelmed with the feeling that the C1 combined with the two A1’s and streaming via Melco simply sounds truer to life than any other digital source that I have ever used. And that is really saying a lot! I’ve heard people state that CH Precision products sound cool and clinical, but this is absolutely not how I hear it. The C1+A1 combination sounds ultra-transparent, clean and controlled clean but also smooth and fluid, and organic. CH components deliver a truly lifelike sound that is not about added warmth, ultra-impact or tube magic. It is simple to claim that nothing is added and nothing is subtracted but this is actually what seems to be happening here. However, it is not a system that delivers the truth at the expense of musicality. 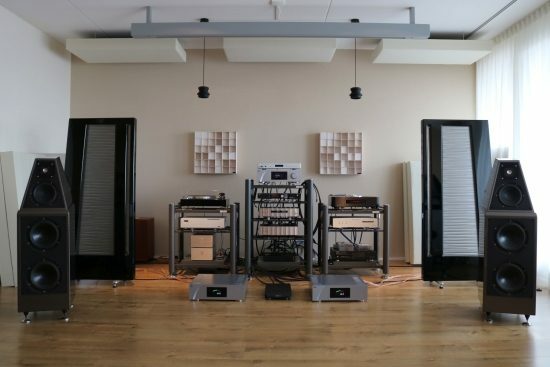 Sure, play mediocre recordings and they will sound mediocre, but you can literally play any kind of music on this system, and it plays everything without prejudice and without ever adding even a hint of hardness. Some audio components excel in their ability to allow the listener to dissect the music into its every musical strand, for example to precisely follow a certain subtle rhythmic aspect or almost hidden melody line. Often though, such super-transparent components can make for a more technical delivery, reducing the emotional impact in the process. Other audio components excel in luring one into the emotional performance and making one forget about the technical aspects altogether. These components, however, can tend to “generalize” the subtle elements of which the music is made. This discrepancy is something that I have often proclaimed to be inevitable because like humans, no audio component is perfect. 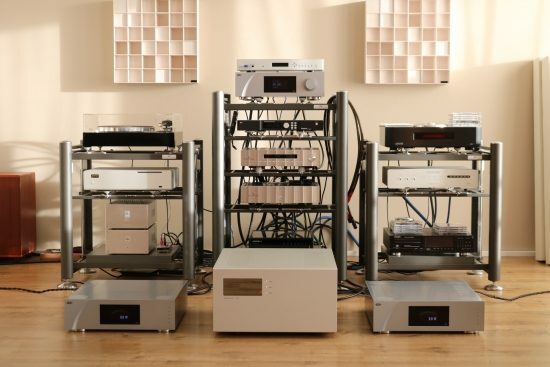 CH Precision audio components tick all the audiophile boxes, there need be no concern about that. however, they are unique in my experience for possessing the finest technical abilities while totally making one forget about them by simply sounding utterly realistic, wholly musical and absolutely convincing. The various technical aspects are woven together so utterly seamlessly that one is encouraged to stop the eternal analysis and simply enjoy the musical performances. It’s as close as I have heard audio components come to perfection. Hi there! Wonderful review! This was my first time reading your review and it was fun to learn another listener having quite similar audio journey as mine. For a great number of years I had Rowland 2/BPS2 driving Martin Logan CLS Is. Moved to Rowand 501’s later for a few years but never sold the CLS (still love them!) I have been using CH D1/C1 for more than 3 years and I think that’s the end of my digital front end. I use this combo driving Soulution preamp and FM Acoustic amp and a pair of Wilson Alexandria 2s. 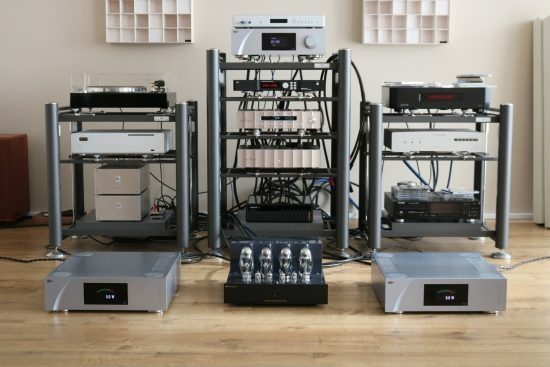 I really cannot complaint, but I do wonder about scaling down the system by replacing Soulution/FM and with a CH amp and drive it with the C1, or go all out with CH L1 and A1/M1! As for the D1/C1 combo, I still quite prefer physical discs than streaming the same file via Melco. If you get a chance to try a D1 in your system please try it and you will love it! It does sound more open and alive through D1, albeit a tad brighter. As for Melco, you noticed an excess smoothness with AQ Vodka (same cable I use), but this can be corrected to a great degree by inserting a LAN isolator such as Acoustic Revive (which I use). In my experience, using a LAN isolator lead to a softened sound, but every situation is different, and it may also turn out differently with other brands. The AQ Vodka did bring a pleasant fullness to the sound but ultimately dynamics are more important to me. If I am in the position to do more comparisons using LAN isolators then I will add this later. Great write up. 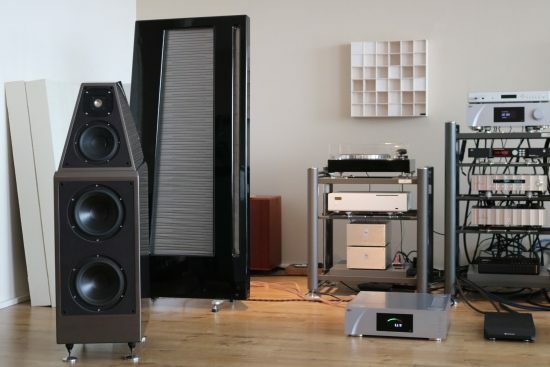 I recently spent some time with a full CH stack: C1 -> L1 -> 2x A1’s, driving Wilson Benesch Resolutions. I love much about the CH kit for many of the reasons you outline, particularly the flexibility and engineering quality. However, I ultimately came to some different conclusions. For me, pick of the stack was the L1 which I think is a phenomenal line stage. Next would be the A1’s – sound wise I don’t think they do anything significantly better than the SS competition, but the flexibility is a big bonus, especially the feedback and gain settings. Last for me was the C1, which I just couldn’t get to spark, so am glad it worked well for you. Nice review. How does sound from the C! compare with the state of the art for LP reproduction? That is a good question but also one that is near-impossible to anwer. First: what is typical analog replay? This means different things to different people and of course it ties in with the choice of turntable, arm, cartridge and phono stage. For me, typical for analog is that the sound can be fast-paced, with “immediate” transient behavior and great PRaT, yet the sound is still fluid and free-flowing. For digital it is often hard to combine those two extremes and TBH I’ve not heard any digital front end that truly reminds me of analog the way that I see it. Nor would I really want to, because analog, for its undeniably beguiling qualities, is also not perfect. Nothing is. 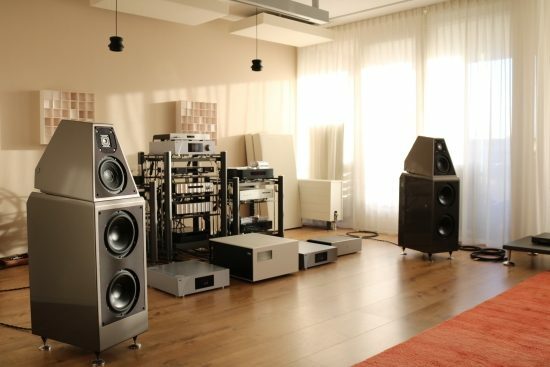 I do not have state of the art analog in my listening rooms but the funny thing is that I feel that it is not very hard to make analog sound involving whereas for digital one needs to spend a lot of money to obtain a really involving sound. On multiple shows, last one the Enosound show in Bilbao, I have compared the C1 to what I would call state of the art analog replay, whis is the TechDAS Airforce III with SAT tonearm and I forget the cartridge, but it was a crazy-money sample and a CH Precision phono stage. In this setup, the turntable had more fluid treble and an overall more free-flowing, easy to get into sound but I preferred the bass solidity and dynamics of the C1 and even found its timbre acoustically more lifelike than that of the turntable, although that is something that ties in closely with the chosen cartridge and with a different combination my conclusion could be the other way around, but still, this pretty much sums up the typical respective strong points of these media types: bass power and solidity versus natural fluidity. The two formats are just not really comparable. 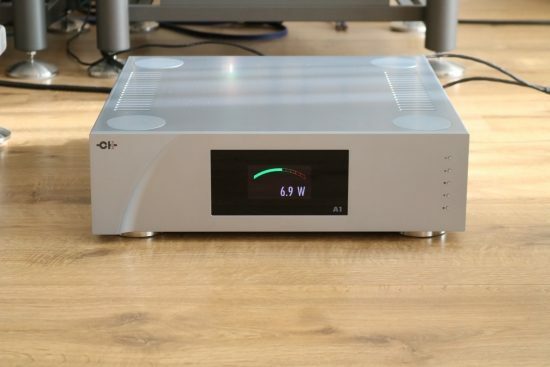 In conclusion: the C1 does not sound like a typical turntable but it does combine the best aspects of several other DACs into one and is actually the best DAC that I have heard so far.